Ashes also known as cremated remains, may be dispersed within the grounds of the Crematorium. Please note that it is not possible for you to be present at the dispersal, nor for the exact location of the dispersal to be disclosed. You should therefore consider this carefully before choosing this option. If you are certain that you wish the ashes to be dispersed, then the dispersal will usually take place the the week following the cremation. If you do not feel ready to make a decision, we will be happy to retain the ashes. We regret that due to restrictions of space we can only store the ashes for up to a month. However, under no circumstances will ashes be dispersed without written authority. Ashes may be interred at Seafield, either in a small plot in the Garden of Remembrance, with a headstone , or in the cemetery, where there are lairs available solely for the interment of ashes. We consider the interests of the bereaved family and the baby or infant left in our care to be the central focus of our attention. This is reflected in all of our administrative and operational practices and procedures, and the fact that we have never failed to recover ashes. We have developed our approach to the cremation of babies and infants to maximise the likelihood of recovering ashes. This includes, where practicable, the use of a metal cremation tray designed to retain the ashes. Our staff are vigilant during the cremation process and adjust operational conditions when necessary in order to protect the ashes of babies and infants. In the unlikely event of non-recovery of ashes, we will notify the Inspector of Crematoria within 48 hours and conduct a review of the cremation process to understand why this is the case. We will document the results of this review and will make them available to next of kin and to the Inspector of Crematoria. We will adhere to our identification procedure that guarantees that the ashes resulting from individual cremations returned to parents are those of their babies. 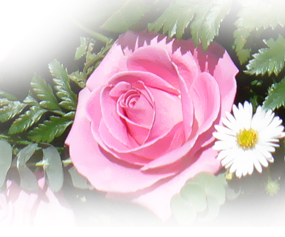 We do not carry out shared cremations unless it involves related individuals e.g. twins. In relation to the dispersal of ashes, we will only act upon the written instruction of the parent who is acting as the Applicant for Cremation or another person nominated in writing by the parent. If instructed to do so, we will usually disperse ashes in the week following the cremation. If they are placed on hold, we will we will carefully store them for up to 6 weeks at the crematorium. Where no further instructions are received within the 6 week period, we will write to you providing you with a further 28 days’ notice. If no reply is received to this written notice then the ashes will be scattered within the grounds of the crematorium. We keep a register of all cremations of babies and infants at the crematorium, with all information contained in forms and certificates being retained indefinitely. When we scatter ashes within the grounds of the crematorium, we also record the final resting place within the register. Where ashes are collected, we also record the details of the person authorised by the applicant to remove/collect the ashes. Our policy is designed to provide an audit trail from the receipt of initial funeral instructions to the final disposal of ashes.